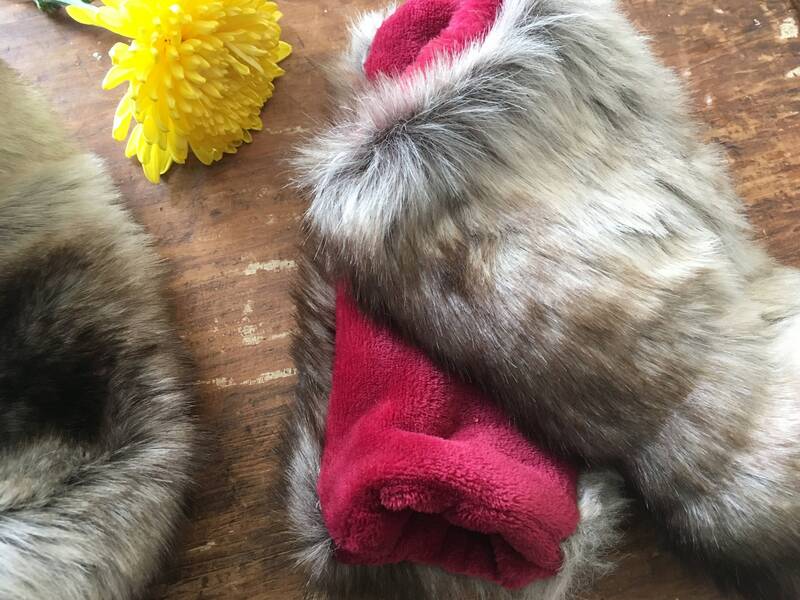 Don't let the cold get you down! 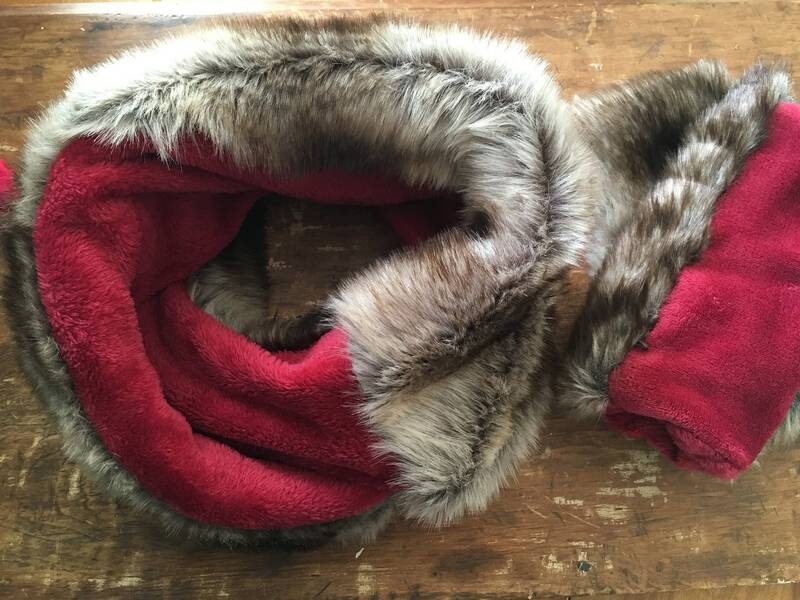 Sink into this elegant and super soft faux fur cowl scarf, great for a dressed up evening out or just a plain old cold day. 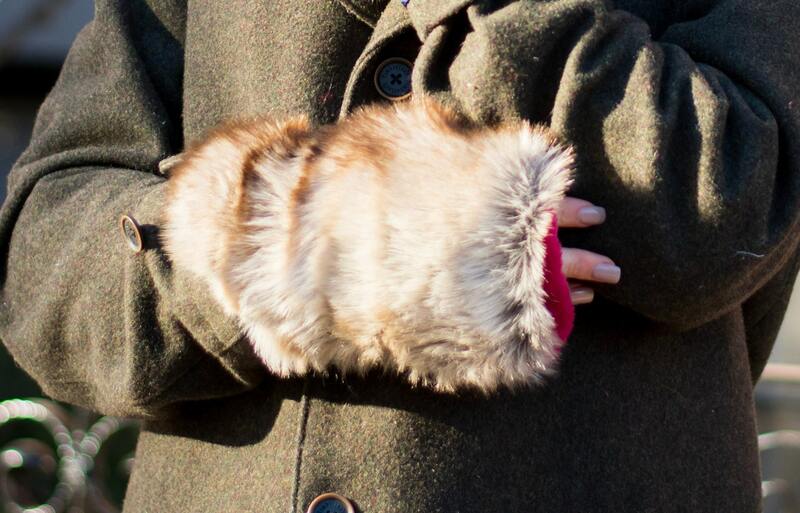 Matching faux fur fingerless gloves complete the look. 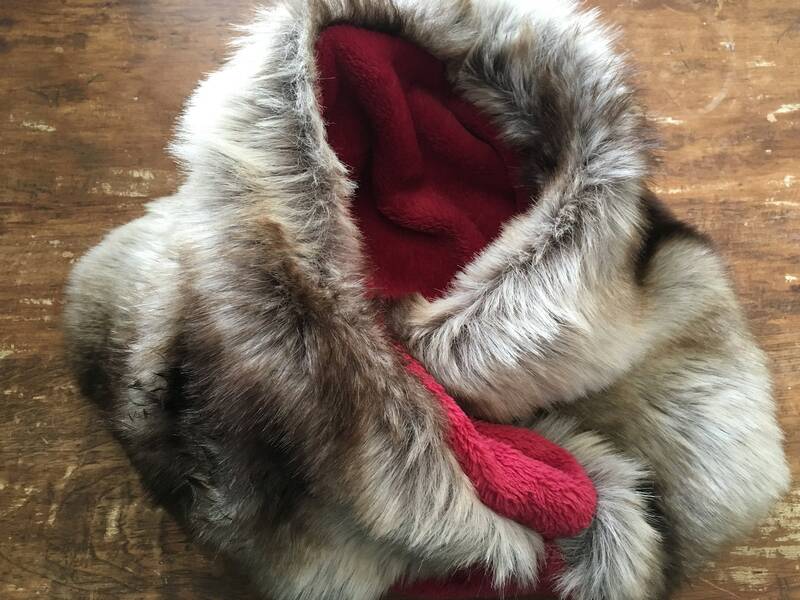 The scarf is a pretty faux chinchilla fur cowl shape with a twist revealing pretty red inner fleece color. 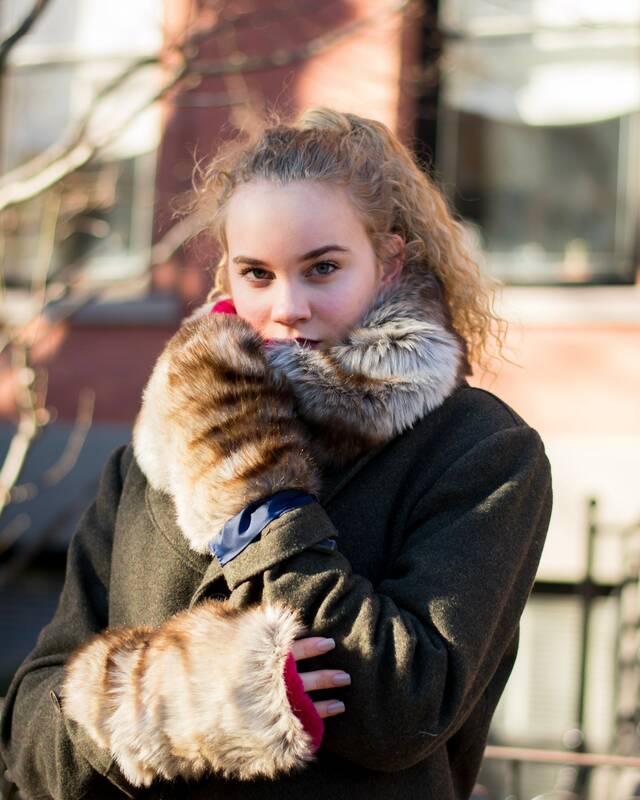 This is a reversible scarf, flip inside out and wear the soft fur against your skin. 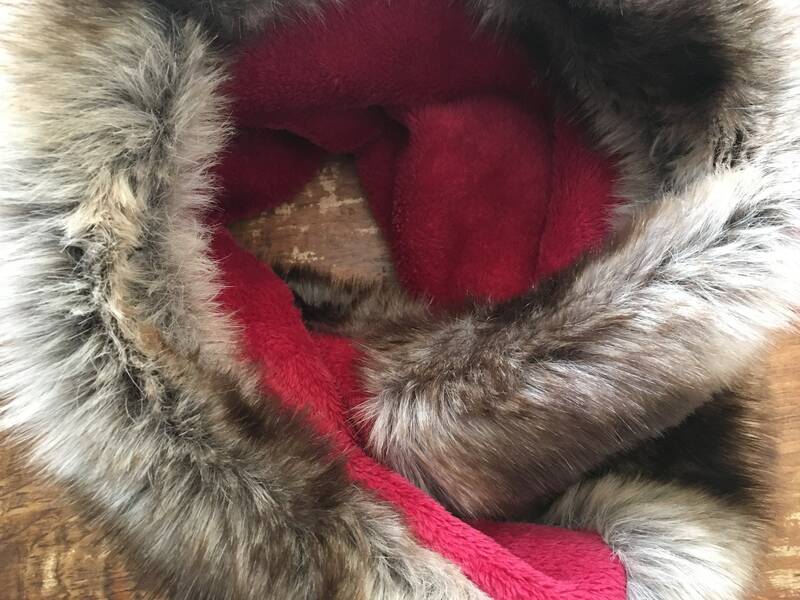 Scarf measures flat 8" wide at top and 15" wide at bottom and 9.5 inches tall. 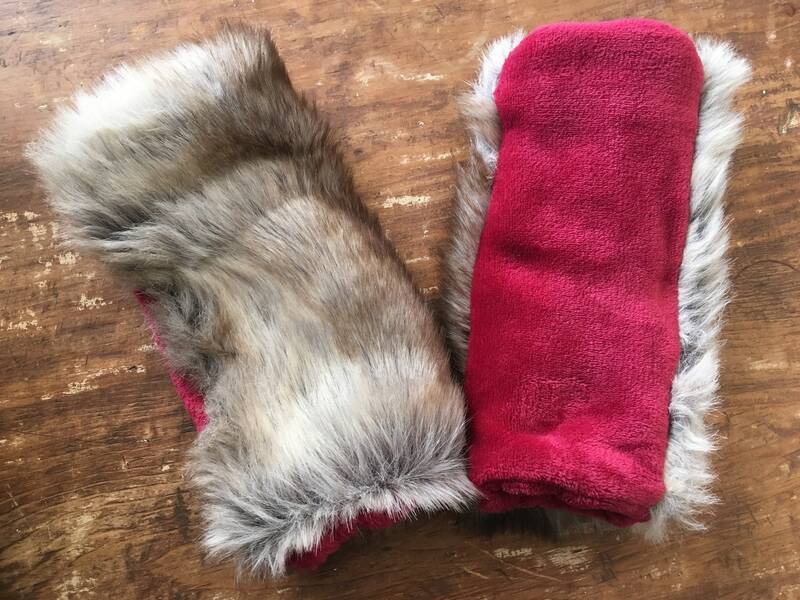 Matching Wrist warmers have a finished finger hole and measure 9" long by 5" wide, one size fits all.